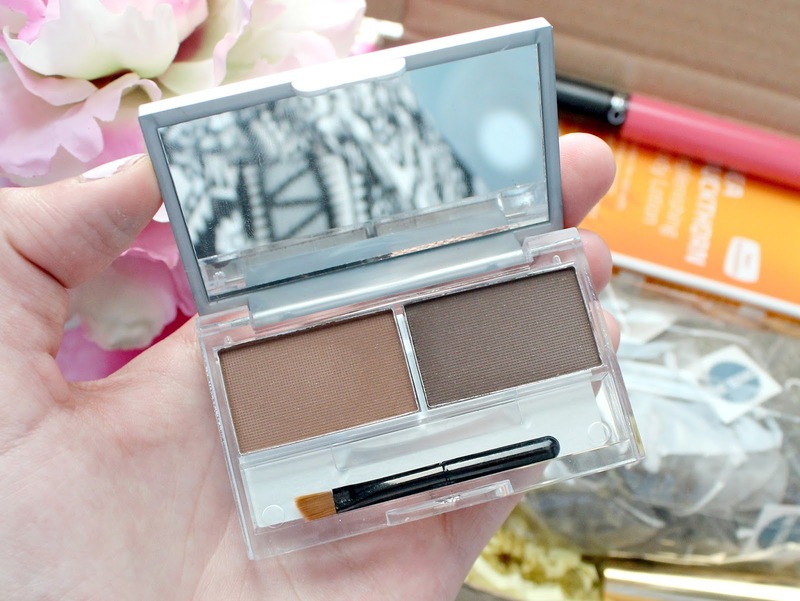 I've never heard of this brand before but oh my gosh, this eyeshadow is amazing! 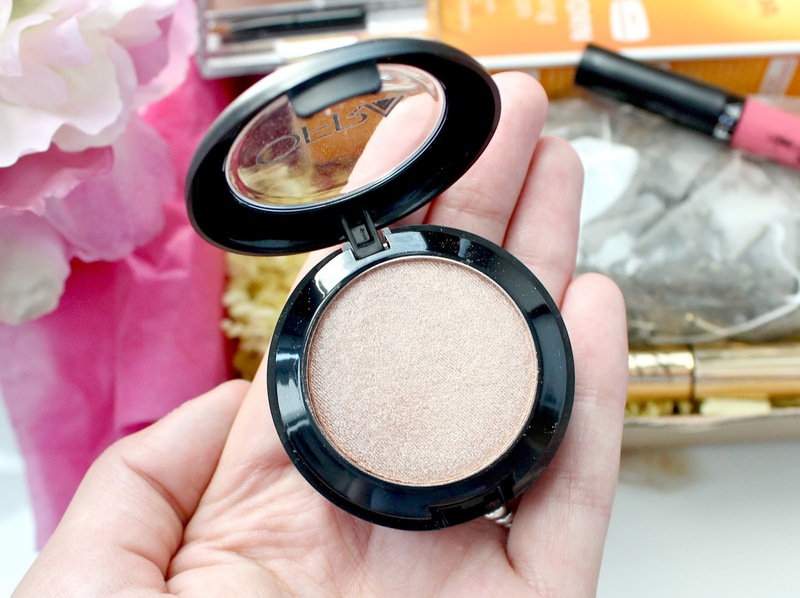 As soon as I swatched it I was blown away by the buttery soft texture, intense pigmentation and metallic finish. Its a beautiful neutral gold shade and kind of reminds me a of my all time favourite eyeshadow - 'Woodwinked' by MAC. I can see myself getting a lot of use out of this product! I've never tried a lash enhancing serum before but I've heard great things about them so I'm excited to give this product a go. This is the only sample size product in this months box but because you only need to apply so little of this each time you use it, it should still be big enough to give me a good idea if it works or not. I have quite a bad habit of picking at my eyelashes and pulling lashes out so if this does enhance my lashes like it claims it will, I'll be very happy! Another Ofra product in this months box is this liquid lipstick in the shade 'Hollywood', a bright fuchsia pink which is right up my street. Much like the eyeshadow mentioned above, this product is fantastic. The pigmentation is second to none and it has a lovely creamy formula. It sets on the lips after application but it still feels comfortable and is very long lasting. 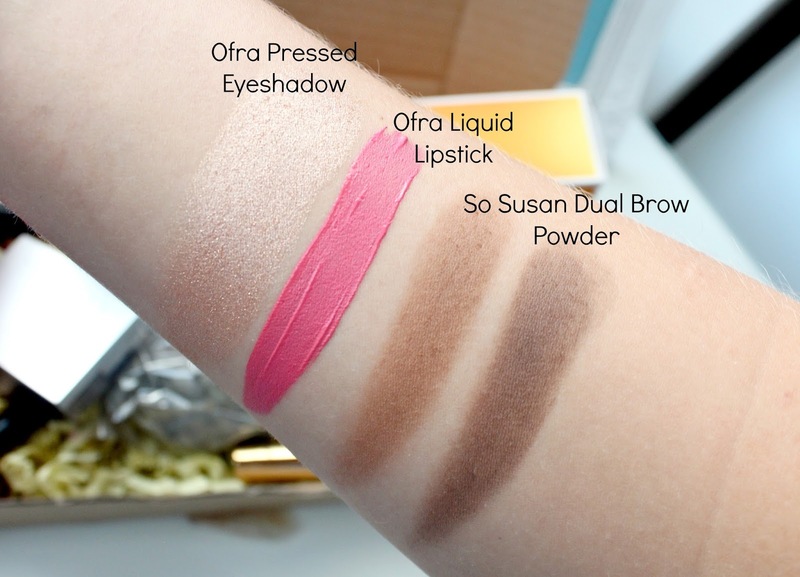 If these two amazing Ofra products are anything to go by, I'm going to have to check out other products from the brand! Another brand I've not heard of but that doesn't bother to me as that's the whole point of beauty boxes - getting to try products from brands I would have never tried otherwise. I've discovered some of my favourite brands through beauty boxes so I don't like it when people turn their noses up at products included just because they aren't from a well known brand - it doesn't make them any less great. 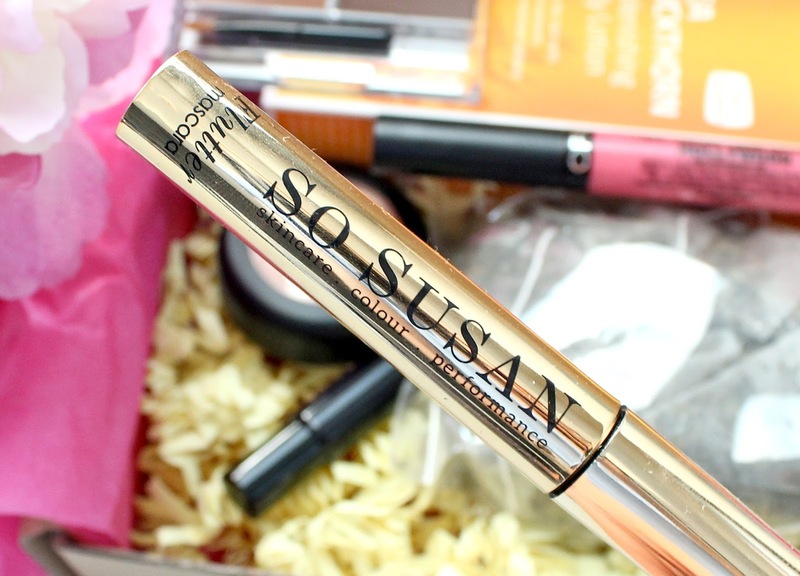 This So Susan mascara come in a pretty gold tube and has a thin plastic brush covered in small bristles to allow for really precise application. Another So Susan product in this months box is this super cute brow kit that comes with two different brow powders and a little brush. I'm a big lover of filling in my eyebrows as it gives my makeup that finishing touch and makes my face look more polished - if that makes any sense. I like that these two powders can be used on their own or mixed and matched to create the perfect brow shade for you. They're both quite warm tones shades so they might not be ideal if your brows for an ash undertone but for me, the dark shade works well. The powders aren't as pigmented as the likes of HD Brows or Benefit Brow Zings but as a starter kit if you're just getting into brow products, its great. 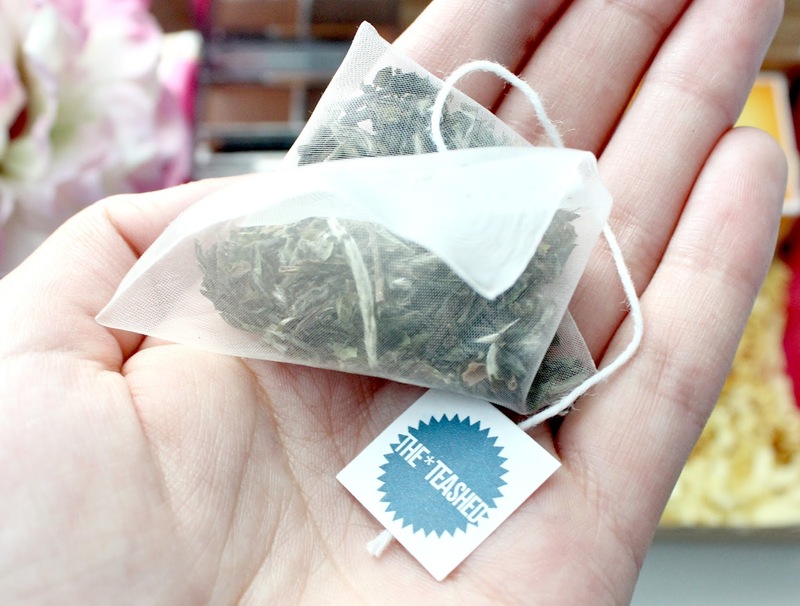 I'm a total sucker for a cup of tea so I'm very happy to see these Teashed teabags featured in this months box. There's 20 bags which is a really generous amount and the tea claims to be naturally low in caffeine so even if you drink it at 4am, you'll still drift off to sleep. The fact its low in caffeine is a plus point for me as I always drink decaf tea anyway. My doctor suggested cutting down on caffeine to reduce my anxiety levels and its definitely made me feel less jittery so if you do suffer with high stress or anxiety levels, I'd definitely suggest cutting it out or at least cutting down to see if it helps. As well as being low in caffeine, this tea is also full of antioxidants so its great for the skin too! I didn't expect to receive this product in my box but I can't say I'm complaining as Weleda is a great brand and this body lotion is absolutely divine. It has a very citrusy scent which I LOVE and the lotion sinks into my skin straight away leaving no greasy residue behind. I'll definitely be using every last drop of this! 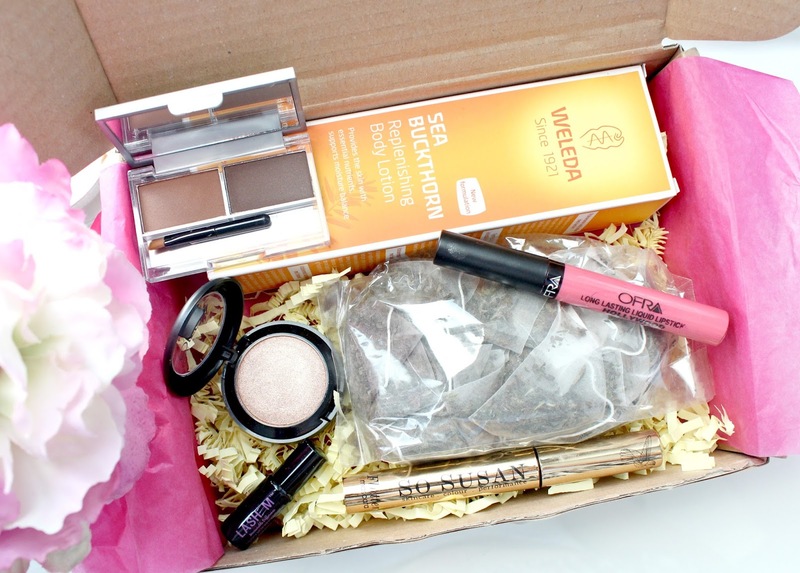 So there we have it, July's Love Me Beauty box. As you can see, this months box is exceptional value for money as the contents of the box would cost around £7o if you were to buy them at their RRP price. I also love that five out of the six products are full sized - there's nothing worse than receiving a beauty box full of sachets or teeny samples. There isn't one product in the whole box I wouldn't use either and for only £9 with my discount code CG10, it really is a bargain! 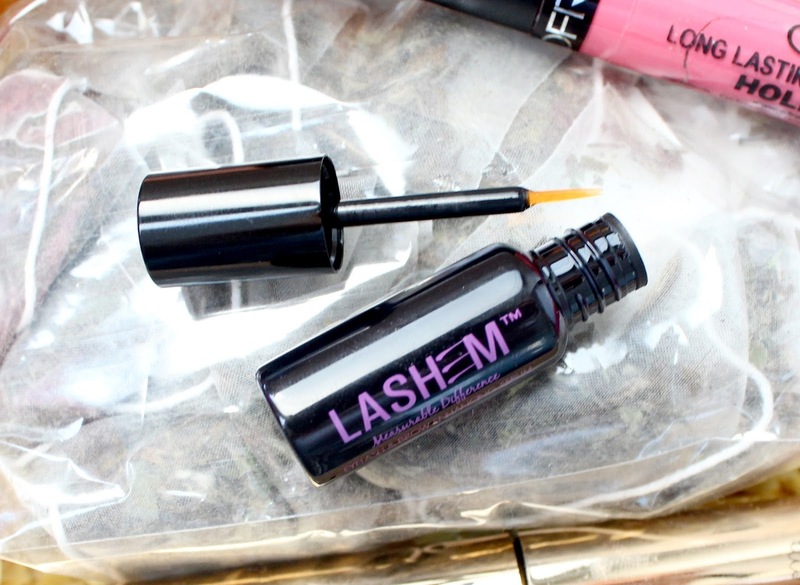 If you'd like to snap if up for yourself, head over to the Love Me Beauty website. I got this box too. The eyeshadow had good wear time. I put it on this morning at 6am over primer potion and it's still perfect at 9.30pm. I also used it as a highlighter in my cheeks and it's still there. I didn't recieve the Weleda though. The Ofra shadow looks gorgeousssss!!! Some great bits, love the lipstick shade! Definitely considering purchasing one of these little box of wonders! It's gorgeous. Thank you so much for sharing this with us! The products look really good! I love the color of that lipstick, it is so pretty! Subscription boxes seem really awesome! I always want to get one of these, but I have heard that some months you get rubbish things? What would you say Kayleigh? This looked like it was an awesome box! All of those products swatched are totally things I would use and their pigmentation is great. I feel like I would get a lot of use out of the eyeshadow, its the perfect champagne gold type shade that I adore. I have never tried a liquid lipstick. Do they go to a lipstick finish or a gloss?